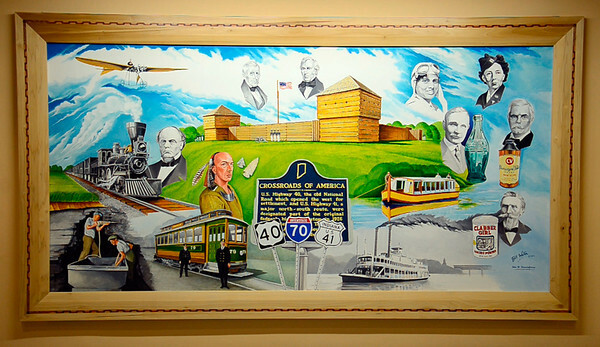 Crossroads history: The last mural Bill Wolfe painted portrays Vigo County as the Crossroads of America. “I wanted to show the different types of travel. That includes a steamboat that would come up the Wabash River and the old Wabash & Erie Canal,” he said.